As Ed Murrow once put it, Winston Churchill "marshaled the power of words and sent them into battle" - Jack Kennedy in a speech later awarding Churchill honorary US citizenship in 1963 repeated this metaphor, substituting "mobilized" for "marshaled" - and now we have a splendid documentary exhibit at the Morgan Library celebrating Churchill's rich spoken and written legacy. It's title is "The Power of Words", and runs till mid September. The show raises the question, just how great a writer and orator was Winston Churchill, in whom the two roles were combined to a greater degree that almost any other politician in history? 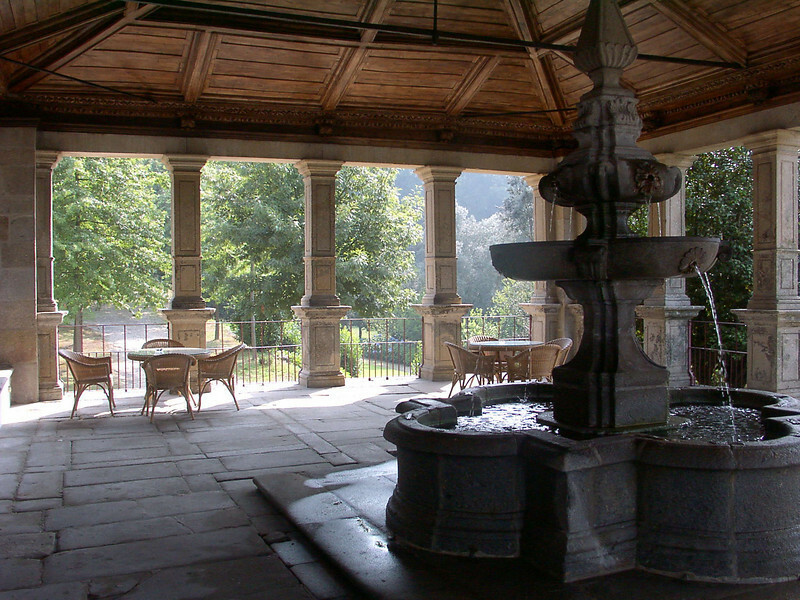 The exhibition won an hour of coverage on PBS by Charlie Rose who talked at his table with Celia Sandys, one of Churchill's grand daughters and sister to Edwina Sandys, the New York sculptor, the amiable Lord Alan Watson of Richmond patron of the Churchill Archives, and a couple of other Englishmen expert in Churchill lore, David Reynolds of Cambdirge and Peter Clark, author of the recent Winston;s Profession, all of whom told more than one good story about the great man. One Lord Alan recounted had him sitting next to a German Parliamentarian after the War in a bus as it was rolling up the driveway pf the gigantic Blenheim Palace. The German, who had never been there before, had turned to him and said, "You know, if Adolf Hitler had known that Winston Churchill was born in such a place he would never have started the war!" The exhibition is reached by paying up $15 at the new, modern glass walled entrance on Madison just below 38 Street, and walking through more glass doors into the old fashioned archway leading into the high ceilinged, warm wooded interior of the old rooms which house the show. Another expert is Martin Gilbert, Churchill's official biographer and one of Britain’s leading historians, who is an Honorary Fellow of Merton College, Oxford, and a Distinguished Fellow of Hillsdale College, Michigan. He is the author of eighty-two books, including Churchill: A Life, and he lives in London. He has edited excerpts from Churchill's writings - speeches, letters, books, and other documents - into a book with the same title, which is on sale in the smart Morgan Library bookstore, devoted to the idea of the book and related artefacts. Just how great a writer and speaker was Churchill? In public Churchill’s words were confident, resolute and defiant. In private he used every means at his disposal to try to influence President Roosevelt and the American administration. 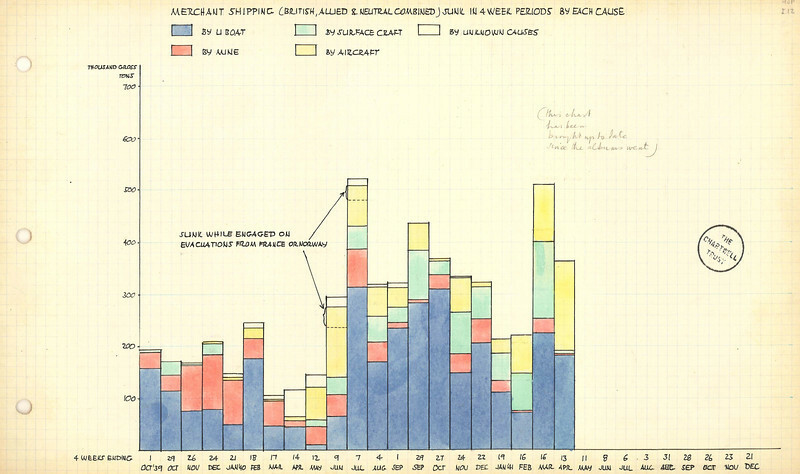 This hand-colored graph was specifically produced to inform conversations between Churchill and Roosevelt, and records the high merchant shipping losses in the Atlantic that were threatening to cripple Britain in 1941.